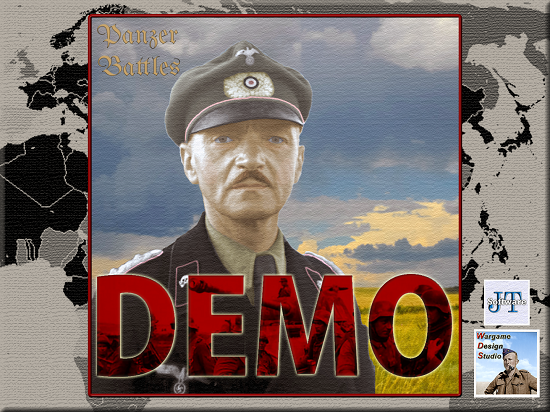 The new demo of Panzer Battles is out from John Tiller Software, and you should go download it now! I know it may seem like I'm all 18th Century all the time these days (and I generally am) but I'll make exceptions for really great game systems from any period. That's why I've recently done some scenario work for LnL Publishing, and why I still quite enjoy playing Panzer Battles. Not only is the game system really probably the best platoon/company level game out on WW2 right now, this demo is brimming over with great scenarios. You get 13 scenarios from the Western Front (early war), East Front (mid war), and Pacific (Guadalcanal). For free. If you like this sort of stuff, you'd be a fool not to grab this. Full disclosure - I have access to/assist with some beta testing for WDS, the designers of Panzer Battles. All that this means really is that I get some advanced looks at games before they're released, and might make some comments that could have some impact on the final release. Not that I've been particularly active/good at doing that in the run up to the semo being released! More interestingly, the scenarios in the demo have been done by some of the best WDS scenario designers, including my good friend Chris Maiorana of Sharp End Gaming. Between great scenarios and the work that WDS has done on this system and the graphics, this is not the same old Tiller game. Go give it a try and then let me know if you'd like to play a game PBEM. I'll wait.